Is This How a Commander-in-Chief Acts? 4 Americans murdered. One of them an ambassador. Where was President Obama? Where was Wanna-be-President Secretary of State Hillary Clinton? Where was the support that should have been sent to help these Americans under attack for 8 hours? There's a national epidemic at hand - and nobody cares. It's scary. Every 169 minutes somebody dies from this terrible epidemic. Thousands of men, women and children are killed and injured every year - and nobody cares. A billion dollars was spent last year fighting this epidemic - but it barely makes the evening news. What are we talking about? Uncontrolled fire. Residential fires kill and injure thousands each year and during last year alone, wildfires cost the nation a billion dollars, as well as ten of thousands of acres destroyed. Remember that some of these fires were accidents in the home and many wildfires were arson - all preventable. It's time to consider limiting the availability of fire starting devices to the public. We must protect those children who find matches or lighters lying around the house. If we can prevent even one death - we must. The availability of these fire starting devices is startling. They are sold everywhere. Matches are sold hundreds in a box. Lighters are sold in packs and even in bulk. We must start limiting those who can sell these devices and to whom they can be sold. While we know that most people who use these fire starting devices are law abiding citizens - we must guard against those who may use these devices inappropriately. That is why we must create a national dialogue to introduce limits against these devices. We propose a three step plan to make our country a safer place to live. We must limit the number of matches in every box sold. Perhaps a ten match limit. How many matches does a person really need to light a candle? 250 matches in a box is certainly unnecessary. Lighters must be strictly regulated. 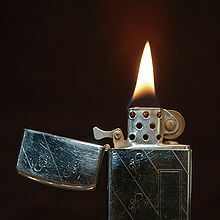 Since a lighter can conceivably be lit hundreds of times and even be refilled, it is a very scary device indeed. Those who sell this device must be licensed and those who buy them should be registered with their local fire department. We must create a national registry of those who own a lighter, especially the refillable ones. We trust our citizenry to use their lighters responsibly, of course, but you never know if the wrong people are attempting to gain access to these terrible devices which can do so much damage. It's time to take a stand. It's time to fight against the powerful match and lighter lobbies. We must make our voices heard. Call Congress today. Please... do it for the children.